New, modern apartments with sea view and parking in the yard, located on a quiet street, 5 minutes walk from the … maggiori » beach. Three apartments. SAT/TV, air conditioning, internet, wi-fi, fully equipped kitchen, grill in the backyard. 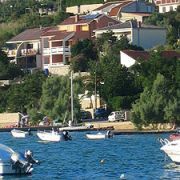 Apartments on the island of Krk in Kvarner Bay. AP1, 62m2, for 4-6 persons, on the 2nd floor with sea view. AP2 … maggiori » , 48m2, for 2-3 persons, on the 1st floor with a view of the green. AP3, 78m2, for 4-5 persons, on the 1st floor with sea view. Krk offers many options for your holiday. 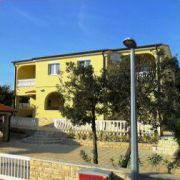 The house is located in the center of Baska, in a quiet location near the beach. It has 9 newly equipped apartments … maggiori » , a covered grill and private parking space. 6 accommodation units type 2/3 bedded room with bathroom and toilet. 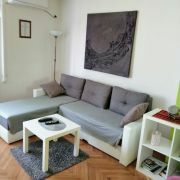 1x apartment for 2 persons, 1x apartment for 4-5 persons. Apartments direct at sea (on the beach) with beautiful sea views. Located in a quiet part of Pag, Bašaca, just … maggiori » 10 minutes walk distance from town center, direct at sea with a seaview are ideal for guests who are looking for peace and getaway from mass tourism. 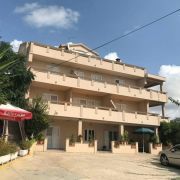 Apartments Katarina are situated in a quiet location, close to the center of Novalja, close to the beach, shops … maggiori » , etc. Each apartment has its own parking space and terrace, plus garden where there is also a grill. 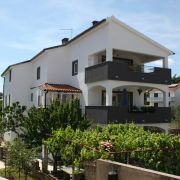 Beautiful house with 6 apartments in quiet bay Potočnica - 10m from the sea and the beach. We have 20 years experience … maggiori » to make our guests feel at home. The house is located in the northern part of the island Pag, in picturesque landscape, halfway between the northernmost Pag resort Lun and Novalja. 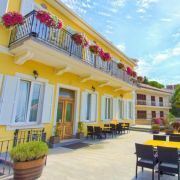 The apartment on the second floor of an apartment house has a total area of 120m2 with beautiful views of the sea … maggiori » and the city of Rijeka. The advantage of this apartment is 40m2 large terrace on the roof of the house. The apartment capacity is 5+1 persons, 3 separate bedroom, private bathroom. Two-room apartment consists of bedroom, living room, kitchen, bathroom, hallway and balcony. Located on the 3rd … maggiori » floor, it is necessary to use the stairs. Nearby are located House of Sports, shop, cafe and other important services. The citi center is a 20-minute walk away. Close to tram station. 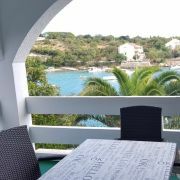 Apartments in Barbat on the island Rab, in quiet location, 2nd row by the sea - only 100m. Two houses offer 5 apartments … maggiori » , each with private parking and place for boat. Large tarrace with grill are available for use to all guests. Pets are allowed. 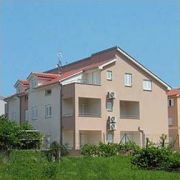 Apartment in the immediate vicinity of the historic town Krk - distance from the center is 3km. The apartment is … maggiori » newly renovated and offers accommodation for 4-6 persons in two bedrooms and an extra bed in the living room. The apartment has a bathroom with toilet and a separate toilet. 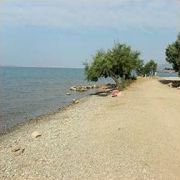 Apartments Hajl are located in town Krk, just 400 meters from the beach and the center. The house is ideal for … maggiori » families because it is located in a quiet place, but also close to all necessary services (restaurants, cafes, beach, shops).